Originally from Thunder Bay, Ontario, Dawn lived in the Ottawa area for many years before moving to the Lower Mainland then settling on Vancouver Island 17 years ago. 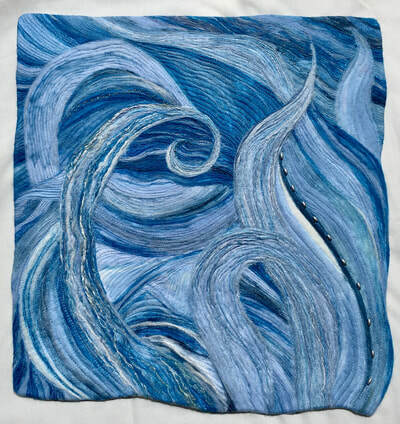 Always a sewer, Dawn provided custom designed shirts to discerning clients for many years. 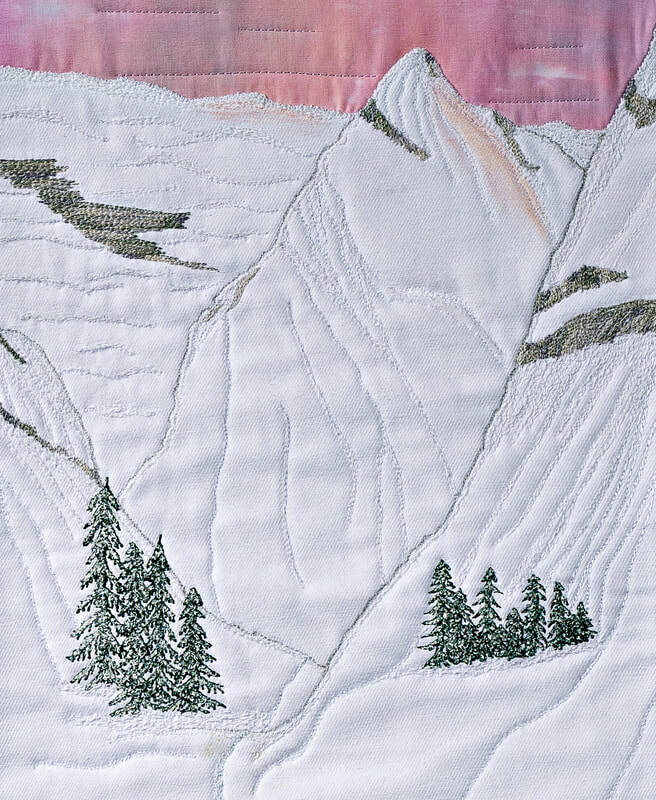 In more recent years her talents have turned to distinctive fibre art, fueled by techniques gleaned from books, workshops and her own artistic experimentation. 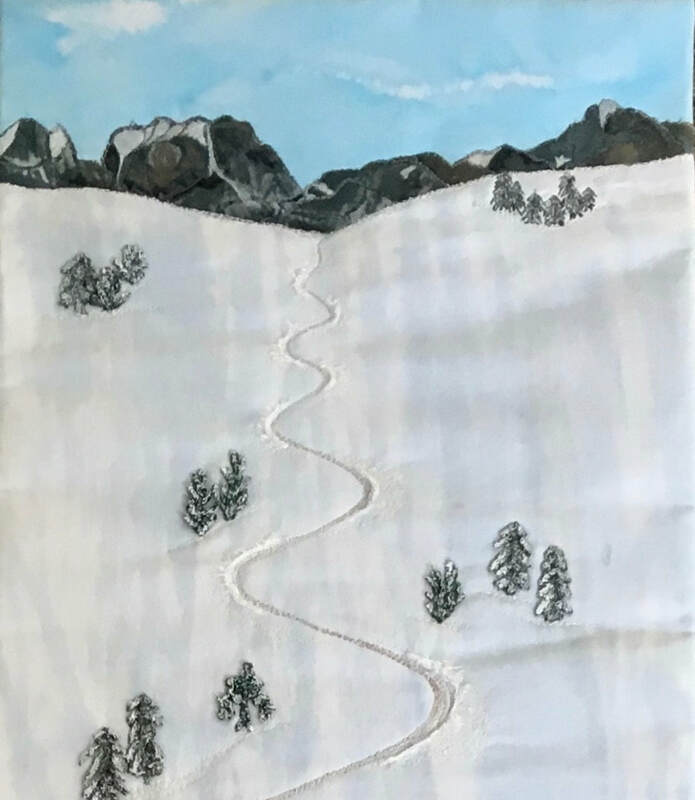 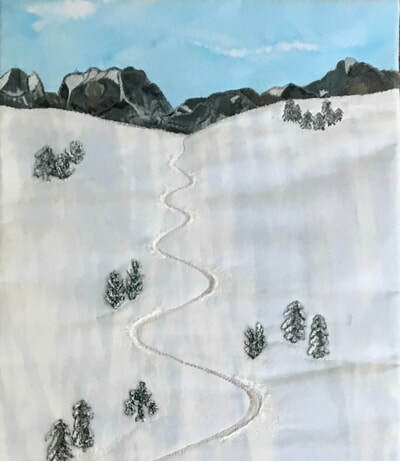 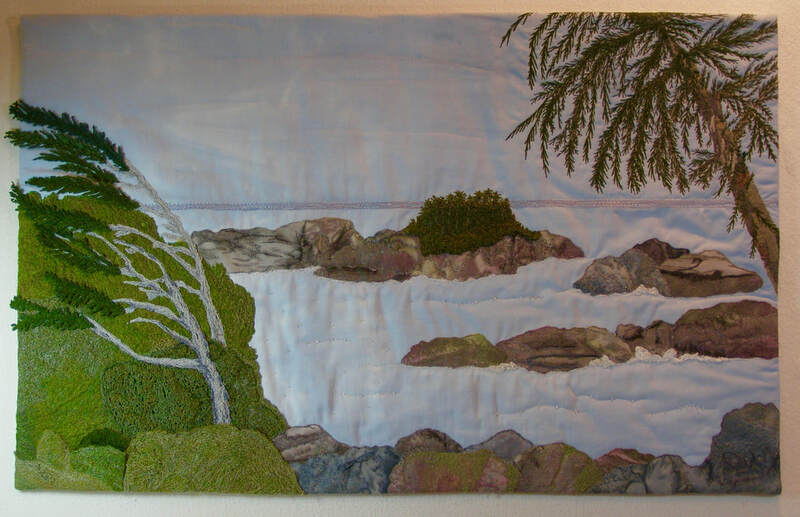 Inspiration for her work comes mainly from photos she takes of the ocean with its interesting sea life and shoreline, the coastal and island mountains and the old growth forests. 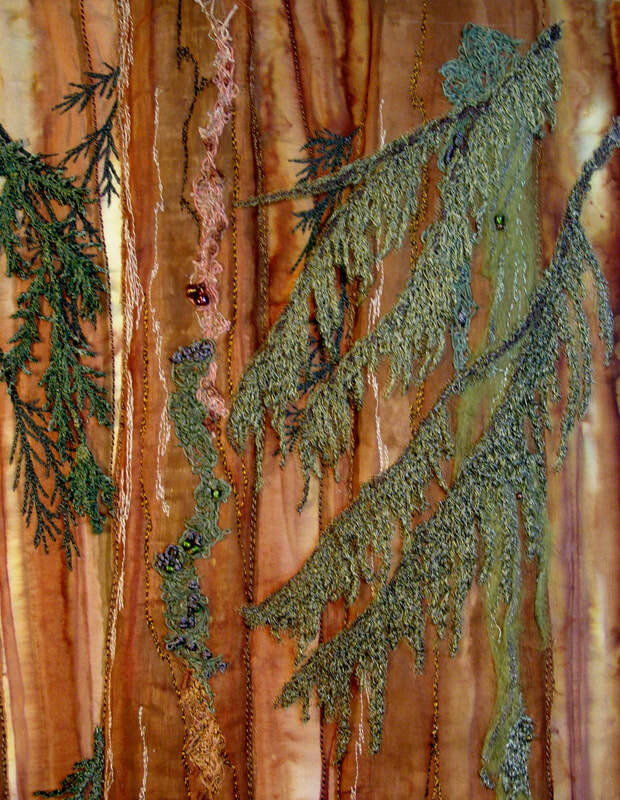 To achieve surface design Dawn uses several techniques creating texture, depth and dimension; acrylic painting, thread painting, hand dyeing, deconstructed silk screening, hand stitching, beading, fusing, heat distressing, manipulating and collaging using various fibres, batiks, hand dyed fabric and other textiles. 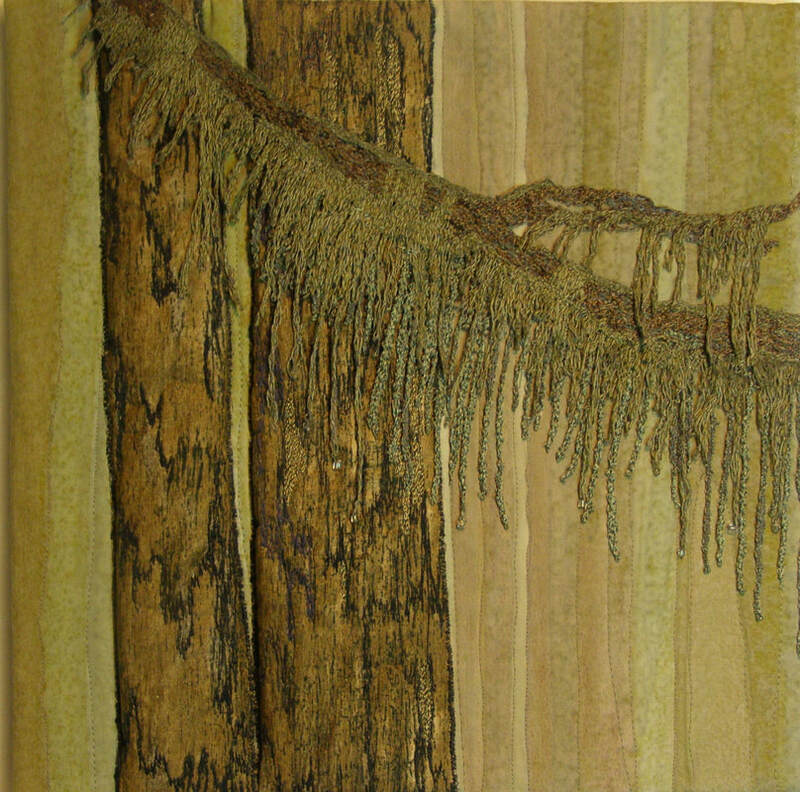 Thread is used as one would use a paint brush to create depth and texture. 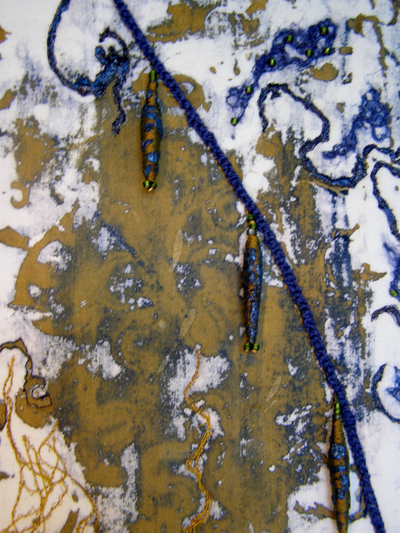 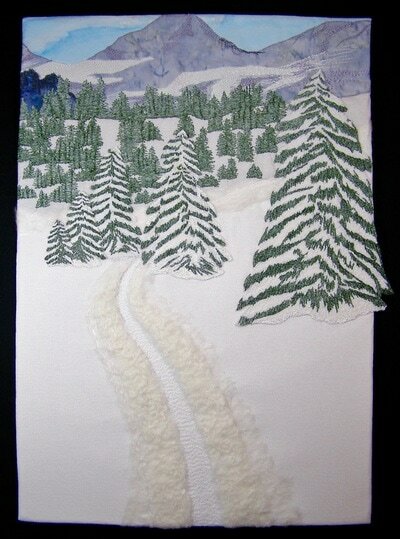 A piece does not come alive for Dawn until she adds thread painting, employing a variety of thread types and colours. Design elements evolve as the piece comes together. 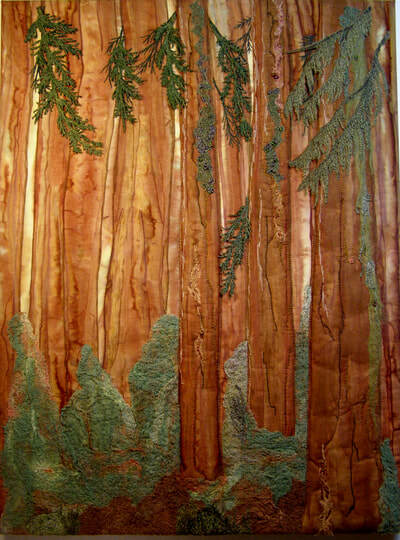 For Dawn it is as much about the process as it is about the finished work. Beginning with a basic idea techniques and textiles are layered as needed to complete her vision. 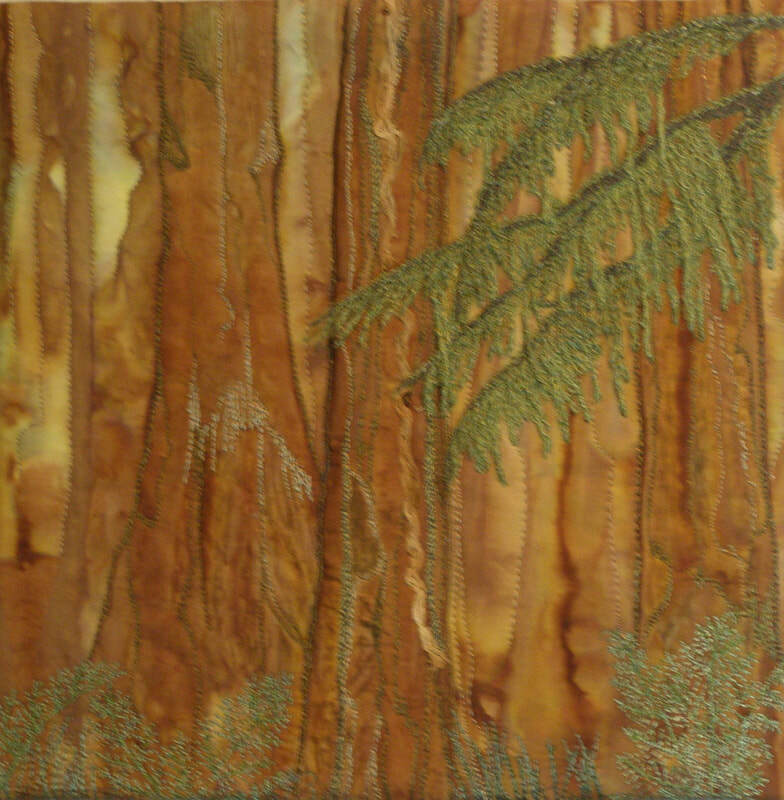 Her work is represented at Gallery Odin, Silver Star Resort, B.C. and in private collections across Canada. Commissioned work is displayed in a government building in Thunder Bay, Ontario. 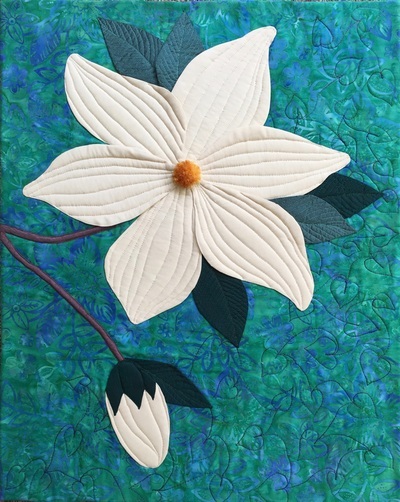 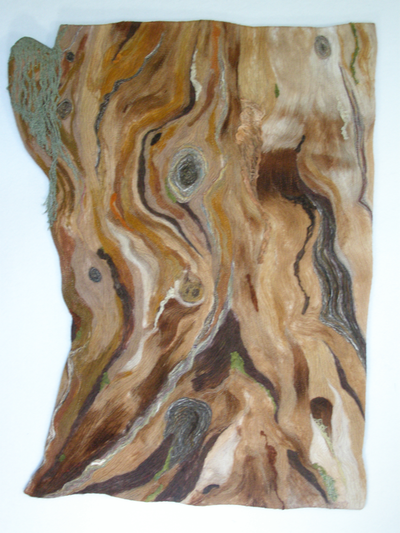 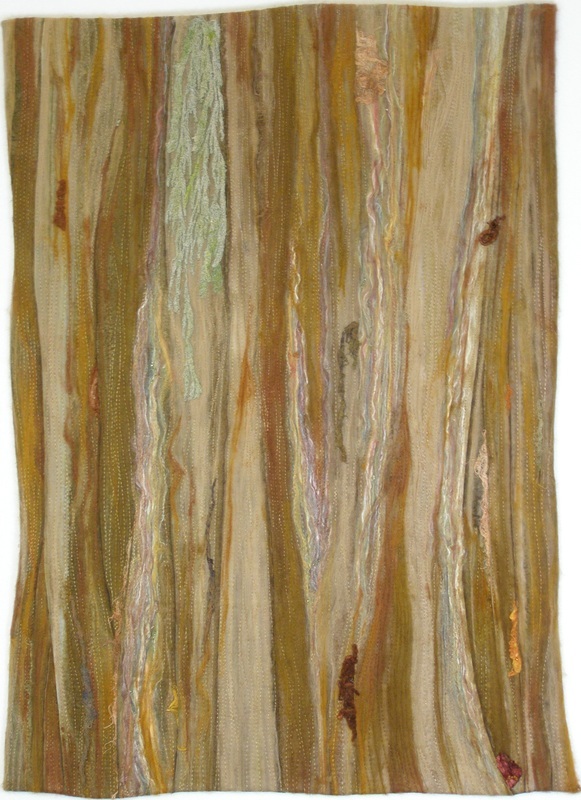 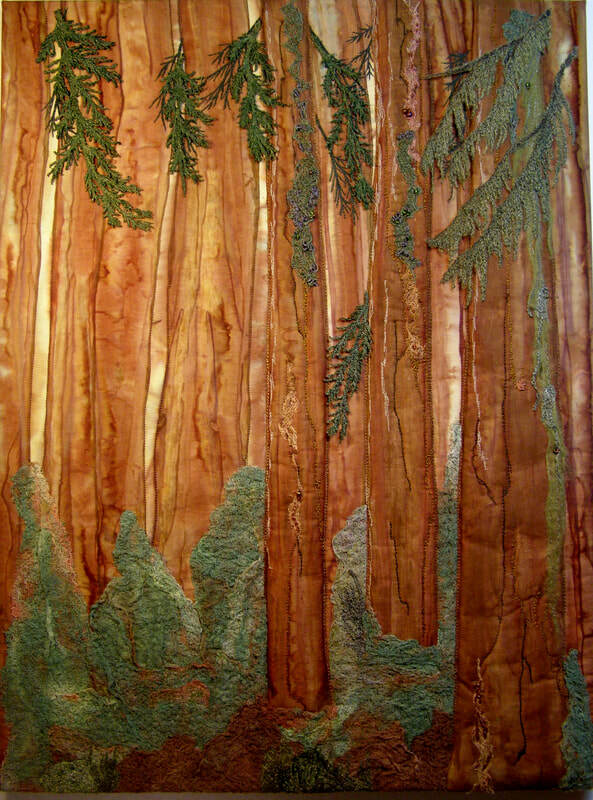 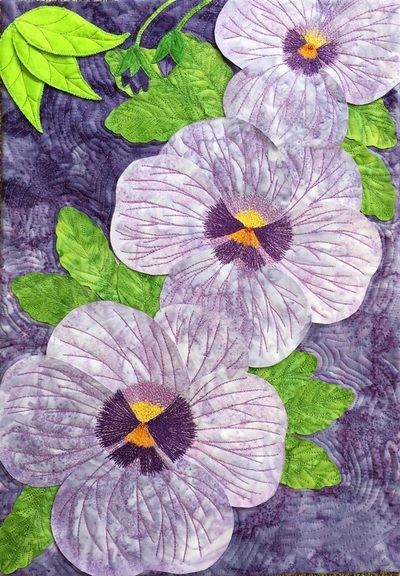 Dawn is a current member of Fibre Art Network and Vancouver Island Surface Design Association and is a founding member of Cyber Fibres, an online group of fibre artists who have exhibited their work locally and throughout Canada.